Who doesn't love a good Easter egg? Apps, games and websites have all manner of hidden secrets, and Facebook is no different. It's not all that long ago that we showed you how to play the chess game secreted in Facebook Messenger and now another gem has been unearthed. Also hidden away in Facebook Messenger you'll find a basketball game -- just in time for March Madness. Be warned, it's quite addictive but shooting some hoops is a great way to kill some time with a friend. All you need is an Android smartphone or an iPhone. Before you begin, make sure that you have the latest version of Facebook Messenger installed -- head to Google Play or the App Store to see if there's an update waiting for you. With this done, you can instigate a game. In a chat, send a basketball emoji to the person you're talking with, tap the emoji in the chat window and the game will launch. It's a very basic mini-game; just flick up with your finger to fire the ball at the hoop and see if you can push up the high score. 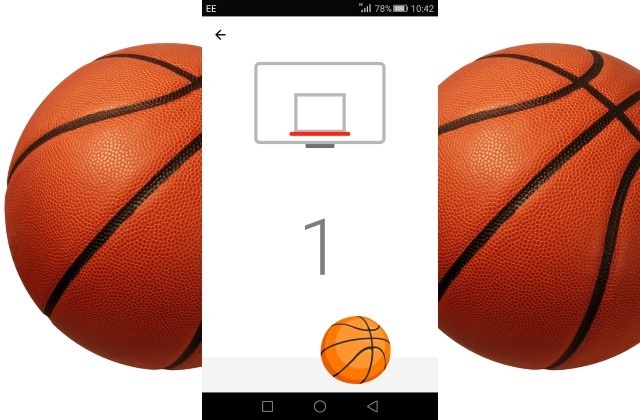 Things start off nice and easy, but as your score increases you'll notice that the hoop starts to move.